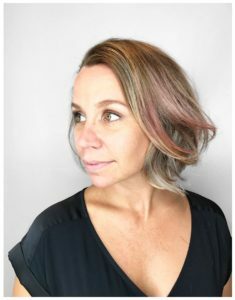 Carla “Coco” Kootsillas is known for her master color formulations and combining her color expertise with modern cutting and styling techniques. She is always ahead of the trends and will be competing in the mega-brand’s yearly styling and coloring North American Competition, TrendVision 2018! 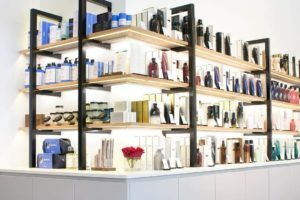 Coco’s philosophy is to treat hair as another one of your accessories and that it should match your lifestyle. Spring and Summer 2018 styles feature warm and soft colors, like peaches and roses, and everything is bright and light. These trends are showing up in today’s popular makeup palettes, using peachy tones and highlighters to create a radiant glow. Styles are not gender-specific, men are growing long hair and women are wearing short cuts that do not require precise styling and are sporting “boy brows” – embracing and grooming full eyebrows instead of wearing them pencil thin like we saw in the 1990’s. We see these trends mirrored in hair color and styling; brighter highlights frame the face while keeping a natural root color at the crown and in the back. Monotone color with very slight variations in highlights and low lights rather than a drastic contrast between highlights and lowlights. Blondes will see tones of champagne, honey, vanilla, and coconut milk, making their blonde really pop and feel blonder. Brunettes’ face frame with tones of soft copper, toffee, dark caramel, and amber. “Mermaid Hair” has taken the internet by storm, with the brightest combinations of pinks, blues, and purples paired with electric greens and yellows. 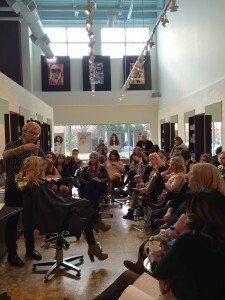 Stevie Smith gave this hair color phenomenon new life with her Wella Master Color expertise in our Master Class. Muting the rose and denim hues to blend with natural blonde and brunette gives the model a fun dimensional look while maintaining the integrity of her hair. The colorful panels can be hidden for a professional day-time style or accentuated with a side part and a few curls. 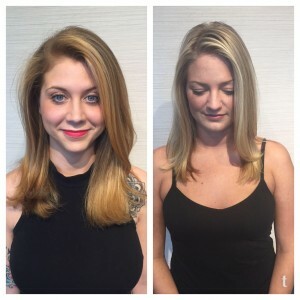 As highly regarded colorist and stylist, Stevie Smith’s work has been featured in magazines such as Allure, Chicago Social and Chicago Bride, and she has styled television and movie actors, theater dancers and fashion models. Follow Stevie on Instagram to see her inspiring work! @stevieannsmith. 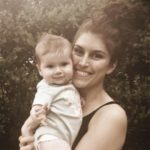 Q: Tell us about your new life… How’s motherhood? A: Oh goodness! Motherhood is crazy. All the emotions! It’s been the biggest, most consuming and confusing, rewarding and exhausting blessing I’ve ever experienced. Helping another human grow up is a fascinating experience. Q: So you’re back to work, how’s that transition been? A: It is actually wonderful! You know, leaving your sweet little baby at home sounds heart breaking but I am passionate about my career as a hairstylist. I love returning to the creativity and the inspiration that I experience on a daily basis. Q: Now that you’re back into the swing of things, what trends are catching your eye? A: Lately I’ve been seeing a lot of natural enhancements, which I am totally digging. I love the concept of taking what God gave you and making it amazing – Keeping color rooty but sun kissed in all the right places. I’ve been drawn to utilizing my razor to create natural movement and texture, I love creating lived-in wearable signature looks for my clients. Q: We’ve noticed you have new boutique hours. When can people come see you? A: I do! I am so fortunate to have a new schedule that lets me share my two passions, hairdressing and baby Nollie. I am in the salon Monday through Wednesday and look forward to seeing long time clients along with new folks in the future! On behalf of color mega-brand Wella, Brenton Lee presented the 2016 Spring and Summer Color Trends, which is collectively titled “Molten Ecaille.” The hues in the Trend are described as a Molten Metal Palette and are inspired by the transformation of raw materials into precious objects. The trend focuses on natural colors – burnished bronze, rose gold, black pearl, rich copper, tortoise shell, and polished platinum. 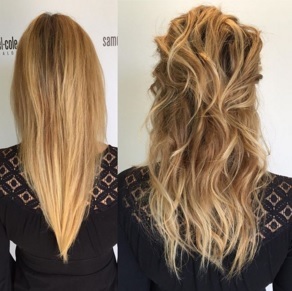 Lee demonstrated how to design a dimensional look that incorporates the metal palette, and described his own color application process in detail. As the Wella Trend Vision National Gold Winner in 2014, and a finalist in both 2010 and 2011, Lee shared his experience as a competitor. He stressed the importance of a supportive team, a thoughtfully chosen model, and lots of practice. 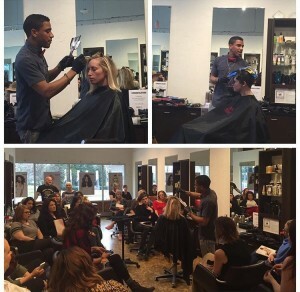 Using test swatches to see how different color formulas process helped him master the looks he used in competition. 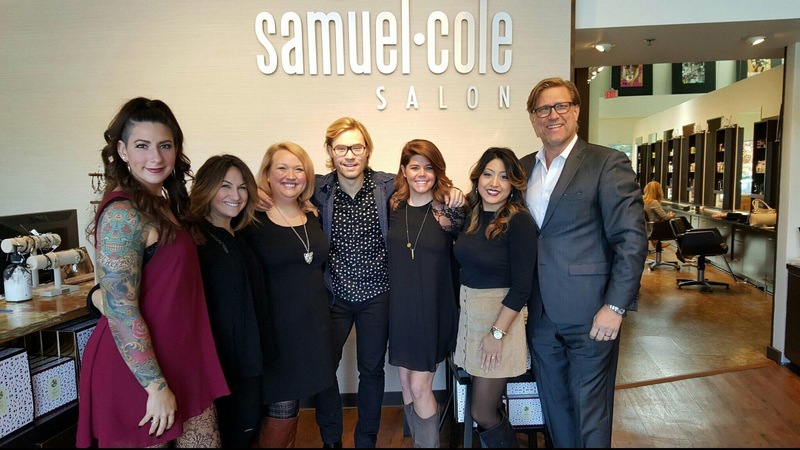 Two time winner of Wella’s Professional International Trend Vision Award, Mark Debolt, came to Samuel Cole Salon to inspire and teach new trends utilizing the hottest colors. Mark’s presentation focused on using foiling techniques to create dimension. The diversity of foiling allows you to create dramatic as well as a softer looks. 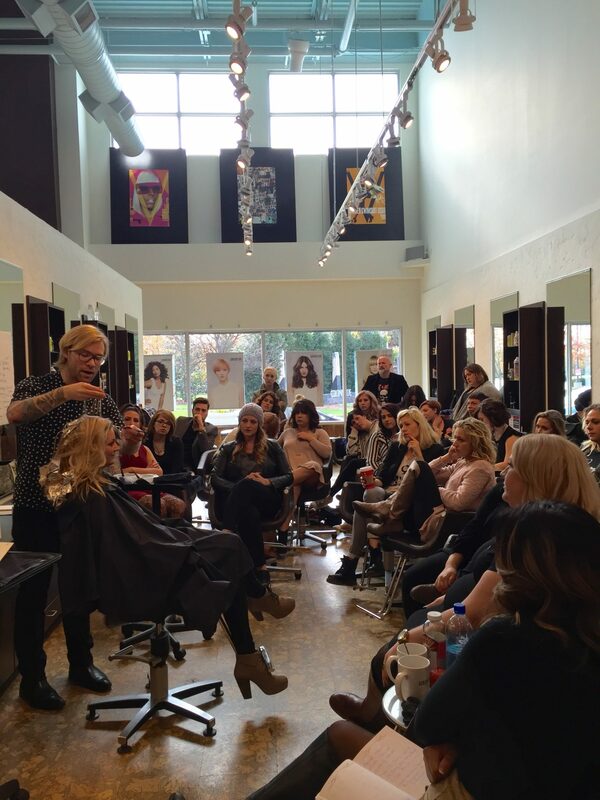 Mark always captivates the stylists with his expertise and makes a point to feature an in-depth question and answer session which gives stylists a chance to brainstorm and come together as a team to find ways to perfect their craft. This class was phenomenal! Every time Mark does a class he opens up our creative minds beyond our expectations and makes it so fun! 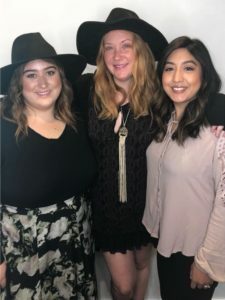 It is great to take these new techniques and color formula’s and bring them to life with my clients,” said stylist and Education Team, member Katie Hu.